Liquor License holders in Louisiana State are responsible for managing the activities within their establishments and are required to maintain a safe and lawful environment for its patrons. This includes ensuring there are no drug-related transactions or activities happening on the premises at any time. We’ve provided some tips and tricks for effectively managing a drug-free environment at your establishment below! Additionally, if you’re hoping to become more knowledgeable about Louisiana Alcohol Laws in general or need to complete a Louisiana ATC approved Responsible Vendor training course to receive a Louisiana Bar Card, we recommend checking out a Louisiana Alcohol Server Training Course. If you’ve become inspired by the brewery, winery, or distillery movement and have a dream to open up your own alcohol manufacturing facility, you are going to need to apply for and receive one of Florida State’s Alcohol Licenses before you can begin the manufacturing process! There are several styles of alcohol manufacturer’s licenses to choose from, so we put together a list to help you determine which one you will need. Before we go any further, we would like to note that one of the easiest ways to learn about Florida State alcohol laws is to take a Florida Alcohol Server Training course. This training will prove to be even more valuable if you intend to sell or serve alcohol at your establishment! Before we go any further, we’d like note that the easiest way to learn about California Alcohol Laws is to complete and/or require all staff to complete a CA RBS Training which also teaches practical techniques for following and enforcing California Liquor laws within your establishment. This is part two of a two-part blog series covering where establishments in Montana State can legally purchase alcohol from to sell at their establishment. If you work at, own, or are hoping to open up an establishment in Montana State that sells or serves alcohol, it will be imperative for you to know where you can legally purchase alcohol to sell or serve at your establishment! We’ve listed some common Q&A’s below for you regarding this topic, however, if you’re hoping to receive more comprehensive education regarding Montana State’s alcohol laws, we recommend that you complete a MT Department of Revenue approved Montana Online Responsible Alcohol Seller Server Training Course which will provide you with an abundance of valuable Montana State alcohol selling and serving laws and requirements. If you’re hoping to open up a club in Utah State, or if you currently work at a club in Utah State, it will be extremely beneficial for you to have a better understanding of Utah’s Club Liquor License rules, restrictions, and requirements. We have listed these below for your reference! Additionally, we recommend completing a Utah Department of Alcoholic Beverage Control (ABC) approved Utah Alcohol Server Training Course to receive a more comprehensive training regarding Utah’s Alcohol Selling and Serving laws! The Utah State Club Liquor License caters to a few different styles of clubs, namely: country clubs, fraternal clubs, dining clubs, and social clubs. In this post we are going to specifically cover social clubs. If you are an alcohol server (or seller) in Louisiana State, or if you are planning to become one, it will be helpful for you to be aware of Louisiana State Driver’s License security features in order to effectively check your customers’ IDs! If you’re hoping to become more knowledgeable about Louisiana Alcohol Laws in general or need to take a Louisiana ATC approved Responsible Vendor training course to receive a Louisiana Bar Card, we recommend checking out our LA ATC Approved Online RV Training Course. Our mission is to provide you with valuable information to help you become the best alcohol server possible in the most entertaining way possible! Michigan Alcohol Server Training: Michigan State Alcohol Laws – Simplified! If you are an alcohol server in Michigan State, or if you plan to become one, you are going to need to be familiar with Michigan State Alcohol Laws in order to protect yourself and your establishment from liability. One of the best ways to become knowledgeable about Michigan State’s alcohol selling and serving laws is to complete an MLCC approved Michigan Alcohol Server Training Course. In fact, it is a requirement in Michigan State that every establishment has trained supervisors on duty at all times alcohol is being sold or served. If you have a dream of owning a brewery in Oregon State, you are going to need to apply for (and receive) an OLCC Liquor License before you can legally produce, sell, and serve beer at your establishment. The best Oregon Liquor License for you to apply for and obtain before opening up your brewery will likely be the Brewery-Public House (BP) Oregon Liquor License. Before we go any further, we would like to recommend that anyone who plans to open up an establishment that sells or serves alcohol in Oregon State complete an OLCC Approved Oregon Alcohol Server Education Course in order to receive comprehensive education regarding Oregon Alcohol Laws and to receive an Oregon Alcohol Service Permit. The California State Alcohol Beverage Control (ABC)’s primary mission is to regulate alcohol in order to reduce (and hopefully one day eliminate) alcohol related tragedies and the possession and consumption of alcohol by minors. Even though the CA ABC’s mission is clear and just, alcohol related tragedies and incidences of minor alcohol consumption/possession still occur, which is why the CA ABC is in existence. One way the CA ABC enforces their mission is to employ Minor Decoy Operations. 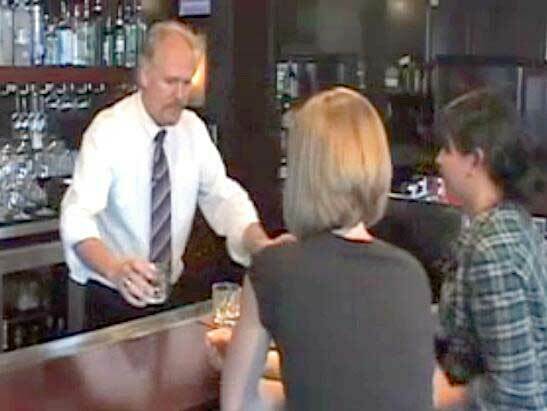 Before we go any further, we’d like note that the easiest way to ensure the welfare of your establishment is to complete and/or require all staff to complete a CA RBS Training to learn about California State Alcohol Selling & Serving laws and to receive practical techniques for following and enforcing these laws within your establishment. Utah Alcohol Laws: Utah State Restaurant Liquor Licenses – Which Liquor License Should You Apply for? AACEA Michigan: Great News! We are now an MLCC Approved Alcohol Server Training Provider in Michigan State! Arizona Title-4 Training: So You Want to Open a Bar in Arizona? Find Out Which Liquor License You Should Apply for! Liquor Licenses in Florida State – Which Alcohol License do you need? AACEA Montana: Q&A For Montana Liquor License Holders – What Can I Legally Sell At My Establishment?